My idea of the perfect Ikea shopping trip involves spending an hour (or two) roaming the marketplace, stocking up on home essentials, grabbing batteries right before checking out and then — the finale — grabbing both a soft serve ice cream cone and a veggie dog on my way out. It’s truly a dream and I may or may not do this at least once a month. But what many, including myself, don’t realize is Ikea’s cafeteria shouldn’t be overlooked — especially this April 5th when the Swedish furniture and decor store hosts its annual Easter Påskbord. 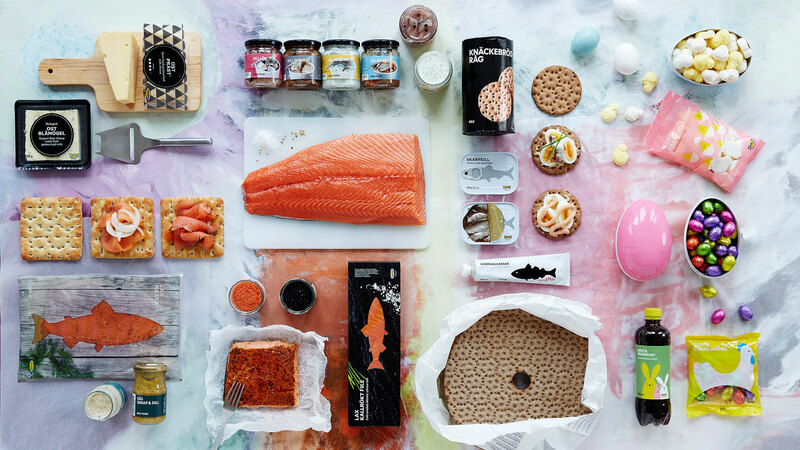 Ikea’s Easter Påskbord is a three-course, all-you-can-eat buffet meal hosted in participating Ikea stores nationwide, kicking off the Easter holiday. The buffet has it all, from the Ikea staples, like Swedish meatballs, marinated salmon and Swedish cheeses, to the likely unfamiliar, including Chicken meatballs and Swedish ham. The cherry on top of this buffet is, of course, the Swedish desserts and cookies. The price is more than reasonable too; tickets are $16.99 per person and $4.99 for kids 12 and under. Ikea Family members have a discounted rate, with adults paying $12.99 and kids 12 and under paying $2.99, instead. Because seating is limited, it’s highly encouraged to buy tickets ahead of time at your local IKEA store. Image: Inter IKEA Systems B.V.
We already can’t wait. Be right back; purchasing tickets.